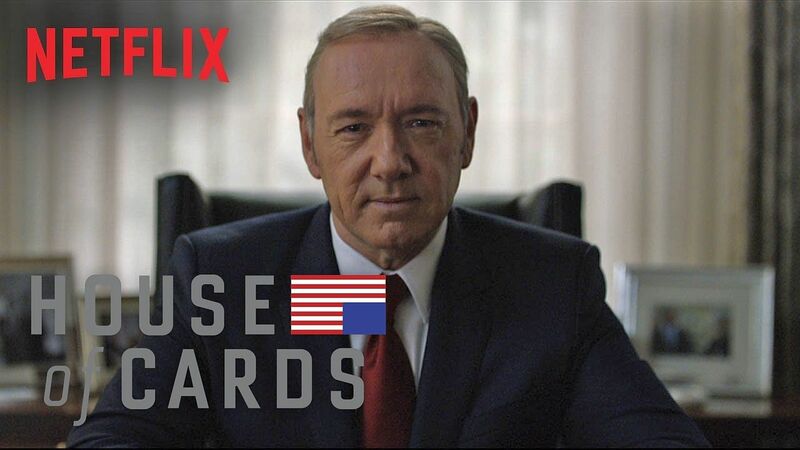 Take some valuable sales and strategy lessons from the popular Netflix program House of Cards you look to grow your bottom line. The lead character, Frank Underwood, provides us with some unique insight on what we should be thinking about and doing as we try to take our sales career to the next level. Frank Underwood had it right … to a certain extent. As lead character in the recently-completed Netflix series “House of Cards,” the ruthless politician devised a plan, carried it through, and wound up on top. The top, in this case, was the presidency. It wasn’t Frank’s original goal. He was a South Carolina congressman who (in his mind) was dealt the ultimate betrayal, by the sitting President, in the very first episode of the six-season show. Frank was mad, to say the least. Spitting mad. He decided to get even … and ahead. His master plan ultimately put him in the White House. Why? Because he was supremely focused in its execution and refused to be derailed. His plan, of course, was full of underhanded deeds … which made for great television viewing. In real life, you would run as fast (and as far) from a guy like him as possible. Still, Frank’s discipline, in adhering to his plan, was amazing. If you’re in sales, there’s a good lesson here. As I wrote last week, successful sales relies on conditioning your prospects. It’s a multi-step process based on proactive strategy. You have to perform each step diligently – no questions asked. Don’t let “being busy” or other foolishness interrupt. Don’t think conditioning works? Ask a dog trainer (or read my last post). It just takes a different form with sales prospects. The emphasis is on bringing value, and doing what others fail to do. Here’s where the rubber meets the road. Let’s cover the first two steps. You just finished a meeting with a prospect. Let’s not kid ourselves – they’re still a prospect. A sale might be a long way off yet. But you’re in the house – and can put your follow-up strategy to work. 1) Write a note: No, not an e-mail. A note. A real note. On a card, that you write with a pen, then put in an envelope and mail. Thank the person for their time, express how much you enjoyed the conversation, and say you’ll be in touch (because, as you stick to the plan, you absolutely will be). This step is huge. First, you’re doing something that virtually no one does anymore … which makes you unique. Further, writing and mailing a note takes time. It’s work. You’re willing to do so for this person, which demonstrates how you value the relationship. Don’t be afraid to stick a $10 Starbucks gift card (or another retailer’s) in the note. If the conversation was especially good, you might have even learned their favorite restaurants or stores … which would allow you to really personalize this small token. How powerful would THAT be? 2) Share a LinkedIn post: You already should have connected with this person on LinkedIn – if not, do so ASAP (and don’t forget to personalize the invitation!). Now, share an update detailing how you just met with them, and were bowled over by their expertise, insight and candor. Explain what you learned in the conversation. Mention why others should also want to talk with them. Add a photo of the person, or their company logo. Tag them (by putting @ before their name) so they’ll be notified you mentioned them online. Everyone enjoys public recognition. It fulfills a basic human need for validation. Simply put, it’s flattering. These are two initial, very important steps in the conditioning process for your prospects. They aren’t the last – not by far. My next post will cover more steps. They have to be followed in order, without exception. Don’t forget that your plan is all about execution. Not “execution” in a Frank Underwood-ish type of way … which would likely create mayhem … but as a driven, continual process that leads to success. Like Frank, everyone probably has their own definition of what that means.